Laptop, Ultrabook, Netbook, Tablet, OR Hybrid? SO MANY CHOICES! Over the past few years there have been a lot of versions of the laptop that have come out. Now it’s a little bit hard to differentiate the different versions and tell what they are. If you are in the market for picking up something new, you should know what you are getting into! Here is a little bit of information to put an end to the confusion. A laptop used to be exactly what it sounds like: a laptop computer. Now it is hard to find just a regular old laptop. But basically, the idea is still the same. A laptop is just a computer with the typical clamshell design that you would expect. It folds, it has a screen and a keyboard built in. There really isn’t much more to it. If you are interested in checking out laptops you can visit North Lakes where you can find a variety of laptops and also find fixes to your damaged devices. 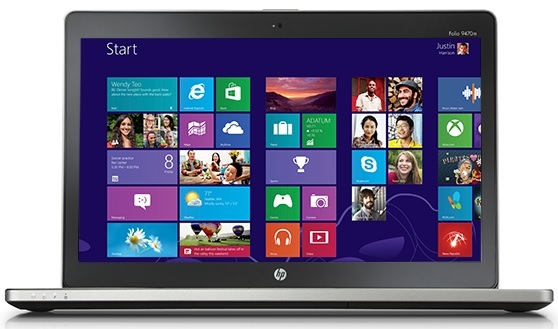 If you have been looking at laptops then there is a good chance that you have come across the term “Ultrabook”. This term was invented by Intel. Basically an Ultrabook is a super laptop. Intel decides what type of specifications a laptop needs to be considered an Ultrabook. It depends on what kind of processor it has, the battery life, the overall power and extra special features. They are still laptops though. You will want to learn how to improve laptop battery life so you are able to use it longer without having to plug it in. And upon just looking at one, there really isn’t much different when it comes to the design and how they work. Just think of these as really, really powerful high end laptops. SEE ALSO: Facebook Is Considering A Dislike Button… Would You Use It? The netbook was created to be a really, really cheap laptop. Like the name implies, they are really designed for basic web surfing. They don’t have the power to tackle any serious work or run a lot of big programs. Most times they are really small and don’t even have a drive to insert a CD or anything. They also quit using the term Netbook recently because people associate the term “Netbook” with being cheap and worthless. I wouldn’t call them worthless, but if you plan on doing anything besides surfing Facebook then I would consider something different. Tablets are not laptops at all, but they were born from the idea of the laptop. They are basically just a slate with a touch screen. No keyboard, no nothing. All you have is the screen. You can surf the net, take pictures, and download apps. They are really good for small businesses for taking surveys or accepting credit card payments. They are also good for casual reading or web surfing. Other than that, there really isn’t a way to use a tablet to replace your laptop for any type of work. But like I said, they do have their place. Hybrids and Laplets basically take the best features from laptops and tablets and put them together. Most times they are less powerful and have less features than a laptop, but more features than a standard tablet. There is generally a detachable keyboard so you can use it like a laptop. If you want to use it like a tablet, you can take the keyboard off and use the touch screen. The first hybrids to come out were basically nothing more than tablets with keyboards, but there have been some coming out recently that might actually be able to replace your laptop. They get better all the time.